The NIVELCO MicroTREK Guided Wave Radar level transmitter is designed for continuous level measuring of conductive or non-conductive liquids, pulps and solids. MicroTREK level gauge operates based on the well-known TDR (Time Domain Reflectometry) principle. Micropulses are sent along a probe guide at the speed of light. As soon as the impulse reaches the surface of the medium, it is reflected back to the electronic module. Level distance is directly proportional to the flight time of the impulse. The video above provides an excellent introduction of the MicroTREK's design, application, and operation. Download the NIVELCO MicroTREK brochure from this MSEC web page. Watson McDaniel Company is a U.S. manufacturer of steam traps, pressure pumps, pressure and temperature regulators, relief valves, liquid drainers, ejectors, engineered systems, and a variety of specialty products. With ISO9001 certification, ASME B&PV Code Stamp approvals, and patented product introductions, Watson McDaniel is positioned to provide customers with state of the art steam specialty products at affordable cost. 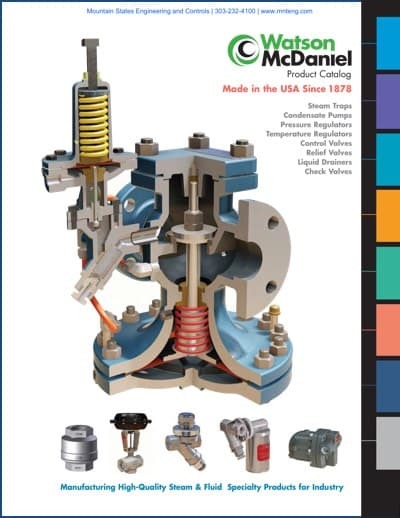 Download the full Watson McDaniel Steam & Fluid Specialty Product Catalog from the Mountain States Engineering and Controls website here. The Crane®FKX 9000 Triple Offset valve design is recommended for industrial applications where large bore valves handle hot steam or isolate parts of their plants and have high/low temperatures that prevent the use of rubber lining elements. This offset applies to the center line of the disc/seat sealing surfaces that provides an uninterrupted sealing surface. This offset refers to the location of the shaft with respect to the center line of the bore, which enables a calming action of the disc to minimize rubbing and wear between the seat and seal. 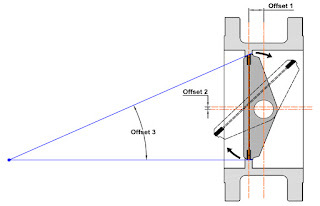 This offset is the axis of the seat cone angle that is offset from the center line of the valve bore to eliminate rubbing of the seat/seal contact surfaces during operation and to preserve sealing integrity over the cycle life of the valve. 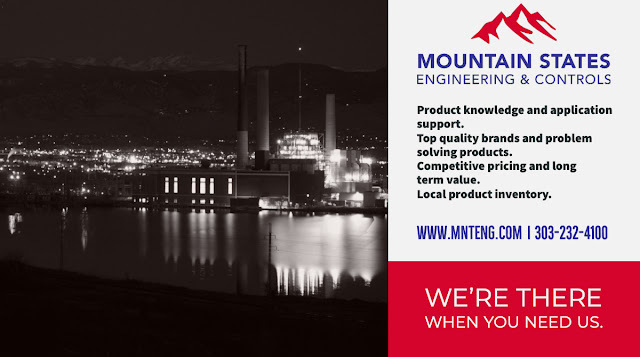 For more information, contact Mountain State Engineering and Controls by calling (303) 232-4100 or visit https://mnteng.com. Heat exchangers transfer thermal energy from one fluid to another. 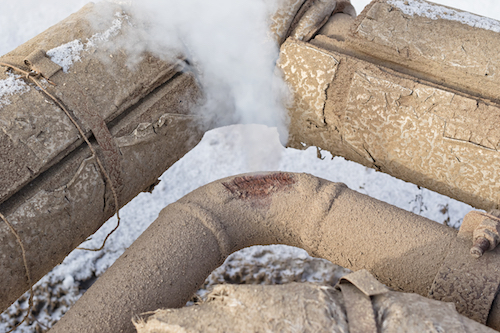 In manufacturing facilities, steam is a common source of heat for many reasons, some of which are discussed in the Introduction. There is a wide range of heat exchanger designs that use steam, largely due to the wide range of products that are heated with steam. 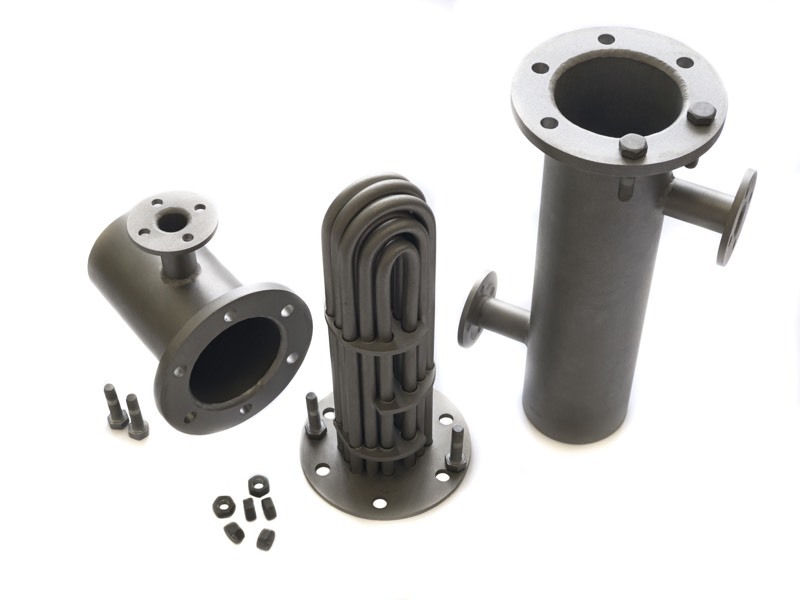 Tubular heat exchangers are tube bundles that are surrounded by the heated or heating medium. This type of heat exchanger includes finned tube and shell and tube designs as shown in Figure 1 above. 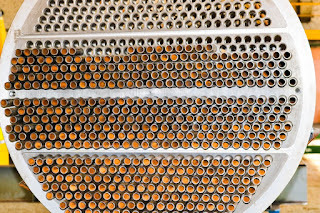 Finned tube heat exchangers are often used to heat air for drying and space heating applications. 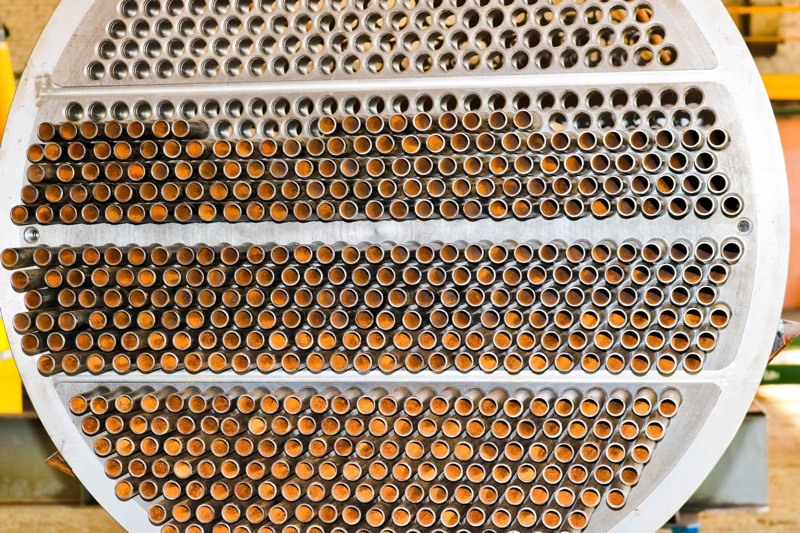 Shell and tube heat exchangers are often used for liquid heating and evaporation. Since the tube side of shell and tube heat exchangers can be designed to withstand high pressures, sometimes exceeding 1500 PSIG, heat exchangers of this type are often used in high-temperature and high-pressure applications. 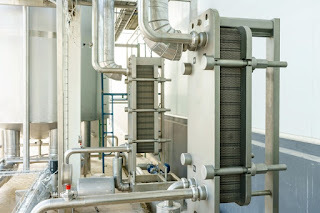 In plate and frame heat exchangers, the two heat exchange fluids are separated by plates. The plates are corrugated, or ridged, as shown in Figure 11, to increase the surface area available for heat transfer. 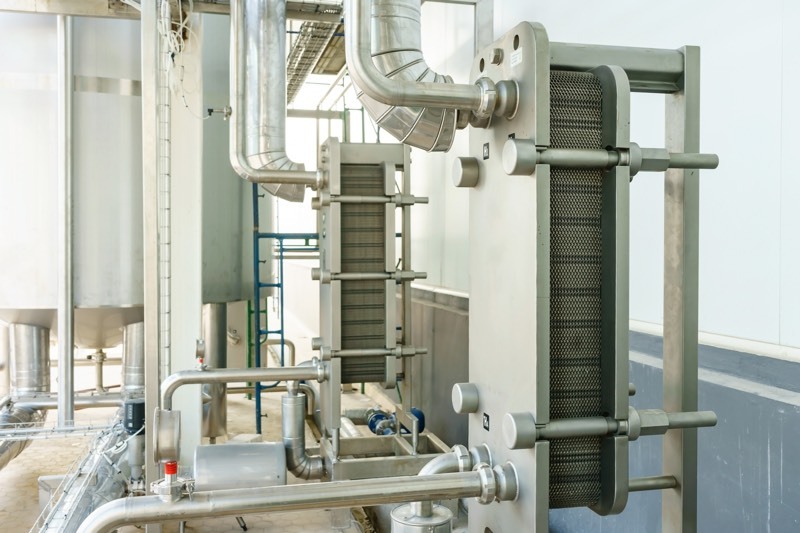 Plate and frame heat exchangers are often used in low-viscosity applications, where the risk of clogging is less severe. The plate ends are typically sealed by covers with gaskets covers that can be removed to allow disassembly and cleaning. This heat exchanger type is used when temperatures and pressures are moderately low, typically below 300°F and 370 psi. Plate and frame heat exchangers also have a common design variation that has the plates welded or brazed together. This allows higher temperature service but eliminates the possibility of mechanical cleaning. For more information about heat exchangers, contact Mountain States Engineering and Controls. The VSI Controls GLS Series is recognized as a high-performance control valve in the oil, gas, power, and process industries, the while boasting easy, quick, and economical maintenance. 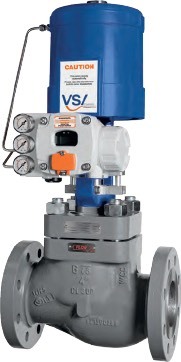 In contrast from other control valves operated by spring-diaphragm actuators, the GLS Series is operated by double acting spring-cylinder actuator that takes advantage of its high pneumatic stiffness, which in turn ensures an excellent and accurate positioning in throttling as well as fast and reliable response to changes in the control signal. CCS manufactures pressure and temperatures switches used in many industrial and aerospace applications. CCS’ designs utilize proven, rugged “Dual-Snap®” disc spring and advanced sensing technologies to provide customers superior solutions for pressure and temperature applications. Contact Mountain States Engineering & Controls for more information. What is a Triple Offset Valve (TOV)? 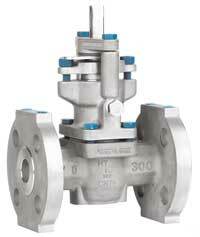 As the name implies, there are three separate offsets designed into the triple offset valve. 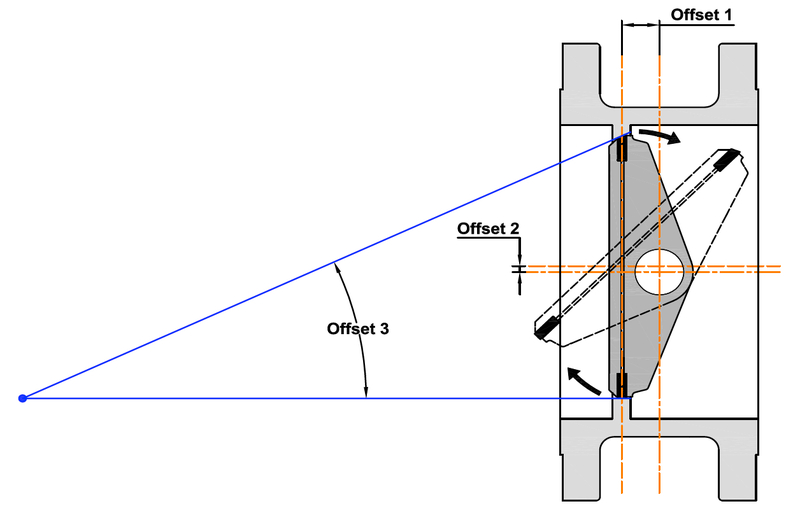 Two of the offsets apply to the location of the shaft with respect to the center line of the bore and the center line of the disc/seat sealing surfaces. The third offset in the design is the axis of the seat cone angle that is inclined from the center line of the valve bore. This eliminates rubbing of the seat/seal contact surfaces during operation and preserves sealing integrity over the cycle life of the valve. The contact is made in only the final point of closure, acting as a mechanical travel stop which prohibits over-travel of the disc. A triple eccentric or triple offset butterfly valve should be used when the application requires bubble tight shut-off, but does not allow the use of a rubber-lined butterfly valve due to low/high temperatures and high pressure. The triple offset design can be used for on/off services, throttling services and modulating services. Like the name suggests, on/off valves are designed to shutoff and to open fully but lack the ability to to regulate effectively through the range of travel. Throttling service (sometimes referred to as inching) is in general flow control through the system where the valve is set and held in an intermediate position. 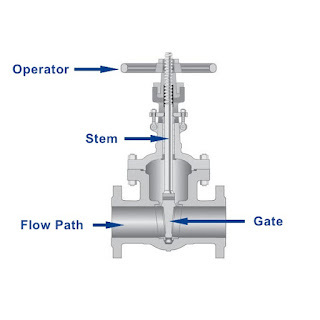 Modulating service (known also as regulating service) is used to drive the valve frequently to any position between fully open and fully closed to control the flow. It uses feedback from the field, and valve disc position is adjusted almost continuously. Quarter turn valves are usually limited to a throttling range of ~25° to ~75° open (25% to 85%). In case of throttling the manufacturer should be consulted in order to predict whether the control valve was installed accurately. Here is a short video displaying NIVELCO level instruments being used on grain silos and hoppers. NIVELCO manufactures level measurement and control transmitters using microwave, guided wave radar, ultrasonic, capacitive, and magnetostrictive technologies as well as level switches utilizing float, conductive, magnetic, and vibrating technologies. Before installation these instructions must be fully read and understood. 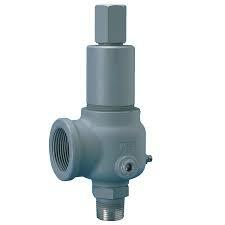 This pressure relief valve is designed to protect equipment from overpressure. The valve should be handled with care, not subjected to heavy shock loads, and protected to prevent dirt from getting inside. It should be installed correctly. Failure to do so could result in property damage or serious injury to personnel. When hoisting the valve into position for installation, care should be exercised so that lifting straps do not contact the valve lift lever. service life may vary upon condition of service. Check unit at least once per 8000 hours or longer intervals based upon site experience. Mount the valve in a vertical position so that the valve body is self draining. If a body drain port is provided, make sure it is open when required by the ASME code. Do not plug any bonnet vent openings. The inlet piping should be as short as possible, with no elbows, and equal to or greater than the size of the pressure relief valve inlet connection. This will help to limit the inlet pressure drop to 3% or less when the valve is relieving. When discharge piping is connected to valve outlet, make sure it is self draining if a body drain port is not used. The valve should not be connected to any discharge pipe that contains pressure before the valve opens or to any pipe where the pressure build-up is greater than 10% of the set pressure when the valve is open and relieving. Discharge piping, other than a short tailpipe, must be supported. For steam service, a drip pan elbow or flexible connection between the valve and the pipe should be used to prevent excessive pipe stress, due to thermal expansion, from being imposed on the valve body. For threaded valves, to prevent sealing compound from entering and damaging the valve, apply a small amount of pipe thread sealing compound to external threads only. Do not put any sealing compound on the first thread or on any internal threads. To do so may cause the sealing compound to enter the valve and cause seat leakage. Do not use the valve body or bonnet for installing the valve in threaded connections. Use the wrench flats provided to tighten the valve to the connecting pipe, and do not over-tighten. To do so may cause valve leakage. For flanged valves, use new gaskets and tighten the mounting studs evenly. Maintain a system operating pressure at least 5 psig or 10% below the set pressure of the valve, whichever is greater. Operating too close to the valve set pressure will cause seat leakage and will shorten the time between valve maintenance. Do not use the safety valve as a control valve to regulate system operating pressure. Excessive operation will cause the seat to leak and will require more frequent valve maintenance. ASME Section I and VIII valves equipped with lift levers are designed to be operated only when the system pressure is 75% of set pressure or greater. ASME Section IV valves may be operated at any set pressure. When hand operating the valve, hold it open long enough to purge any foreign matter from the seat area. If a cable or wire is attached to the lift lever for remote actuation, make sure the direction of pull is the same as it would be if the lever were pulled directly by hand. Maintenance should be performed on a regular basis. An initial inspection interval of 12 months is recommended. 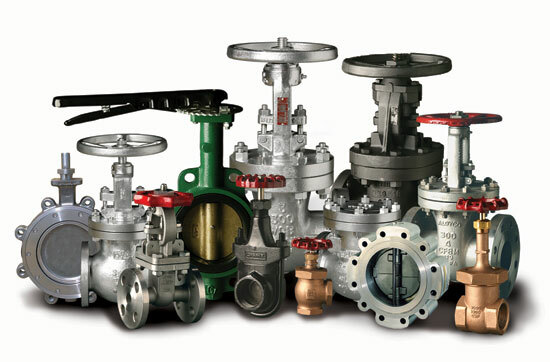 Depending on the service conditions and the condition of the valve, the inspection interval may be decreased or increased. Use only Kunkle parts for repair. Depending o the local jurisdictional requirements where the valve is installed, repairs may have to be made by a repair facility holding a VR stamp. Removal of the seal wire or any attempt to adjust, repair, or modify this product by non-qualified or non-authorized persons voids the product guarantee and may cause serious damage to equipment, personal injury, and death. Kunkle Valve is not liable for any damages resulting from misuse or misapplication of its products. Download a PDF version of the "Kunkle Pressure Relief Valves: Operating and Safety Instructions" here. 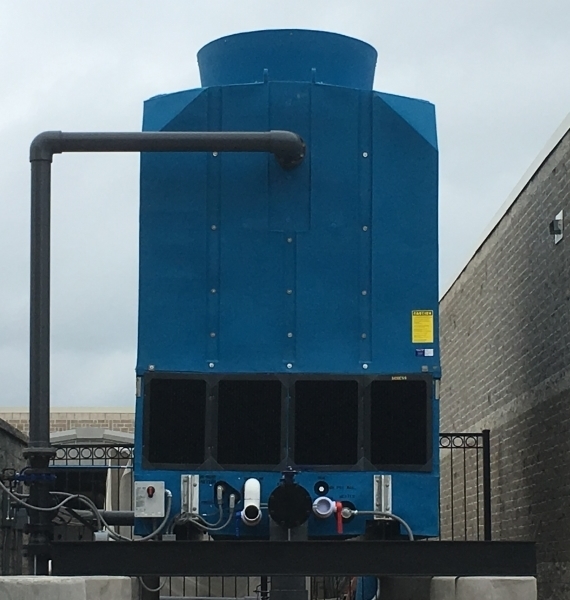 An evaporative cooling tower is heat removal device that uses ordinary water to transfer process waste heat from building and equipment into the atmosphere. All cooling towers operate on the principle of removing heat from water by evaporating a small portion of water that is recirculated through the unit. The mixing of warm water and cooler air releases latent heat of vaporization, causing a cooling effect to the water. Cooling towers are a key component of many refrigeration systems and can be found in industries such as chemical processing plants, power plants, steel mills, food processing plants, and many other manufacturing companies where process cooling is required. Cooling towers are also used to provide comfort cooling for large commercial buildings such as universities, government facilities, airports, schools, hospitals, and hotels. 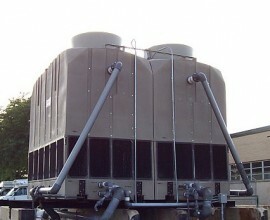 The video below provides a short review of what cooling towers are and why they are important. VSI Controls™, a newly-formed control valve company and wholly-owned subsidiary of PetrolValves™, offers Customers an exciting alternative to procure general and severe service rotary and reciprocating control valve systems that provide a best-fit solution for their processes. VSI Controls™ combines the products and technology of Valtek Sulamericana™ - a leading control valves system manufacturer with 35 years’ experience supplying severe service solutions - with the financial strength, global infrastructure and manufacturing and technical prowess of PetrolValves™. A long history of technology and innovation originating from Valtek Sulamericana™. Their product offering can be reviewed in the embedded document below, or you can download a PDF of the VSI Controls Control Valve Catalog here. For more information, contact Mountain States Engineering & Controls by visiting https://mnteng.com or calling 303-232-4100. Recognizing the on-going need for education as it relates to the fundamentals of steam including the most efficient use of its heat content, Spirax Sarco has developed the following handbook on steam ulilization. This handbook represents over 100 years of steam experience in the proper selection, sizing and application of steam traps, pressure and temperature controls, and condensate recovery systems in major industrial plants throughout the world. You can review the embedded document below, or you can download your own copy of the "Design of Fluid Systems - Steam Utilization Handbook" here. Read the application note below, or download the Lined & Sleeved Valves for Mining PDF here.